A shorter version of this blog post appeared at the Baptist Convention of New England blog. They were some of the most encouraging sermons I have preached for months, not only for me but also for the church family as we rejoiced in the gospel together. I believe that in our preaching and Bible study, when we come across technical, “big” words that the Bible uses, we should use, study, and explain those words, rather than skirting around them or simply glossing over them with an alternative phrase. When we moved to Vermont from the West Coast for me to pastor here, my family and I woke up the next morning and drove around town to familiarize ourselves with our surroundings. It was May, and we kept seeing signs that said “Tag Sale.” They often looked like Yard Sale or Garage Sale signs, and once we followed a few of those signs and saw a Yard Sale happening, we incorporated this new phrase into our thinking and speaking. We now don’t give it a second thought to say, “We should clean out the garage and have a Tag Sale this summer.” To function well in a new environment, you have to learn some of the new vocabulary that will help you to understand things you encounter. When somebody becomes a Christian or begins to really study the Bible on their own, they need to learn some of the new vocabulary that they will come across in the Bible or they will always struggle with those passages. When we as pastors or Bible Study Leaders don’t take the time to slow down and explain what difficult doctrinal words and concepts mean as we encounter them, we risk doing unintentional damage. We stunt the spiritual growth of those we minister to, because they will flounder when they run across these words in their own Bible study, and we also unintentionally teach that the words God chose to put in the Bible are too hard for us to understand. As I studied to preach Romans 3:25 and then 1 John 2:2, I was amazed to discover that the Greek translation of the Old Testament (the Septuagint) uses a form of the same word 6 times. It is often used to talk about the Day of Atonement, but one use made my jaw drop. In Psalm 130:4 the Psalmist rejoices: “But with you there is forgiveness, that you may be feared.” Yes, it is forgiveness, but he didn’t use the word for “forgiveness,” he used the word for “propitiation.” Those who sang Psalm 130 understood that in order for forgiveness to happen, their sins needed to be paid for. But we really begin to understand what Jesus did for us so he could be our propitiation when we look at how a form of the word is used in Hebrews 9:5. There the writer of Hebrews uses a form of the word “propitiation” to describe the mercy seat, the covering of the Ark of the Covenant (this form of the word is found 28 times in the Greek translation of the Old Testament, 24 of which also refer to the mercy seat that was on top of the Ark of the Covenant). Inside of the Ark of the Covenant, in addition to Aaron’s budded staff and a pot of mannah, was God’s Law. The blood of the sacrifice went between God’s Law, which the people had broken, and God’s presence, which the people could not stand in without a worthy sacrifice. 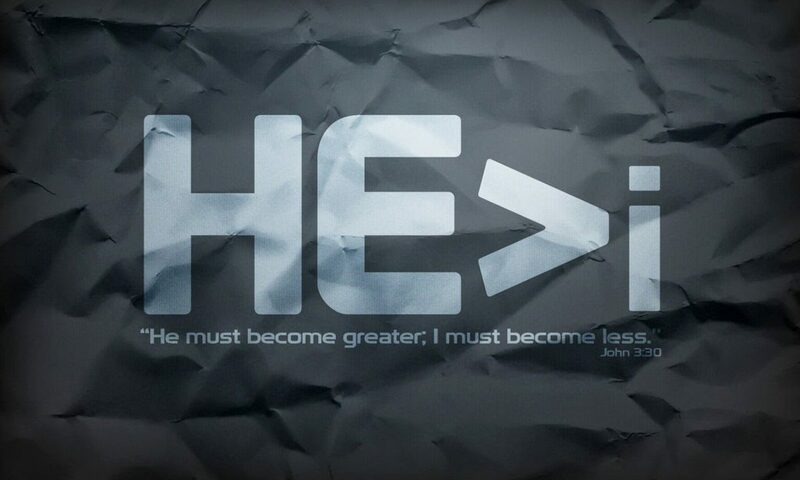 This is where Jesus comes in. Jesus is not only our High Priest, Jesus IS our propitiation. Today. 1 John 2:1 explains that Jesus IS the propitiation for our sins. Present tense. Have you broken God’s Law recently? What about the 10 commandments? Have you lied, coveted, lusted (Jesus pointed out that adultery happens not just with our bodies but also in our hearts), or not honored your parents recently, just to name a few of those 10 commandments? 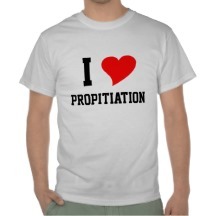 Jesus IS your propitiation! Jesus’ blood stands between you, the Law-breaker, and the holy God. Now that silences the accuser! Let the people God has entrusted to you in your congregation or Bible Study glory in the gospel from the many different angles the Bible gives us, by not running away from the difficult words in the Bible. Explain them when you use them, but study and explain these technical and rich Bible words in such a way that they will want to sing hallelujah when they encounter them, whether it is in church or during their personal Bible study. We want them to run TO propitiation, not away from it! Because when they run to propitiation, they are running to Jesus.